In the past we have highlighted several uses and benefits of the shrink wrap products we offer. One thing we have not broken down is the way shrink wrap can help save you business money. We get calls from companies all the time who are looking for shrink wrap to help reduce their packaging costs. 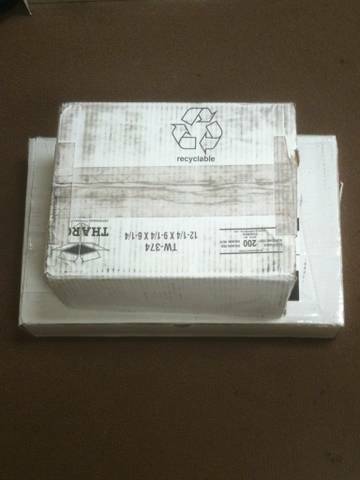 Many companies use boxes to bundle items together for shipment or retail sales. Many of our clients ship out orders that have multiple packages bundled together. These items can range in size and shape, so they put all of the items in a box or band the items together. Shipping all of the items together in one load helps to reduce shipping costs and allows customers to get all of their orders at once. The issue is that boxes are expensive, especially the bigger boxes. We are going to use some simple math to show the difference in cost from using corrugated boxes vs. shrink wrap. We always tell customers to bunch the packages together, measure the length from the tallest point down, and then measure the circumference of the all of the packages together. Stacking the boxes can be useful as well, but bunch them together if you have to. If you stack the boxes on top of each other, measure the circumference of the boxes stacked on top of each other, then the length of the longest box laying down. Out to the right is a great example of two boxes that need to be shipped out together to save on shipping costs. Measurement for Shrink Bags- The circumference of the boxes stacked together is 40 inches around them and the length of the bottom box laying down is 20 inches. Add 10% to the circumference then divide that number by two. 40×10%=4+40=44/2=22, Which would be 22. That will be the width of shrink bag you need. The length needed will be the 20 inches of the longest box laying down plus 10%. 20×10%=2+20=22, so 22 inches is the length of the shrink bag needed. For this shipment that weighs less than 40 lbs. a 22×22 inch 100 gauge shrink bag will be needed. Measurement for Box- We will use the same example of the picture to the right. To measure for a box we need the length, width, and depth. The length is the length of the box laying down which is 20 inches. The width of the box on the bottom is 11 inches. The depth is measured from the top of the two stacked boxes to the bottom, which is 9 and a half inches. A 20x11x10 box will be needed for placing the two products in the box and shipping them together. Cost Breakdown- To bundle and ship the two example boxes together using a corrugated box would be approximately $1 per 20x11x10 corrugated box. To use a shrink bag to send the same example shipment it will be approximately $.40 per 22×22 shrink bag. Using shrink products costs less than half of what it costs to use a corrugated box. Another great advantage to using a shrink bag for bundling products together is the fact that shrink bags offer up to a 40% shrink rate. That means you can send out shipments that are smaller than to ones we measured and the shrink wrap will still shrink and conform to the shipment. Call us if you have any questions, 1-800-441-5090.